Enjoy Numbers from the most ambitious, critically-acclaimed presentation of the Bible ever produced, Inspired By ... The Bible Experience features a star-studded cast of almost 200 performers. Highlighting the cast is 2007 Academy Award-winning actor Forest Whitaker as the voice of Moses, along with Angela Bassett (Esther), Cuba Gooding, Jr. (Jonah), Denzel and Pauletta Washington (Song of Songs), LL Cool J (Samson), Eartha Kitt (Serpent), Bishop T.D. Jakes (Abraham), and Bishop Eddie L. Long (Joel) among others. The Bible Experience uses Today's New International Version (TNIV), and includes dramatic performances set to an original musical underscore by the Prague Symphony Orchestra and Hollywood-style sound design created at Technicolor Studios. The Bible Experience has become not just the bestselling audio Bible, but also one of the all-time fastest-selling new Bibles. In addition to record-breaking sales, Inspired By ... 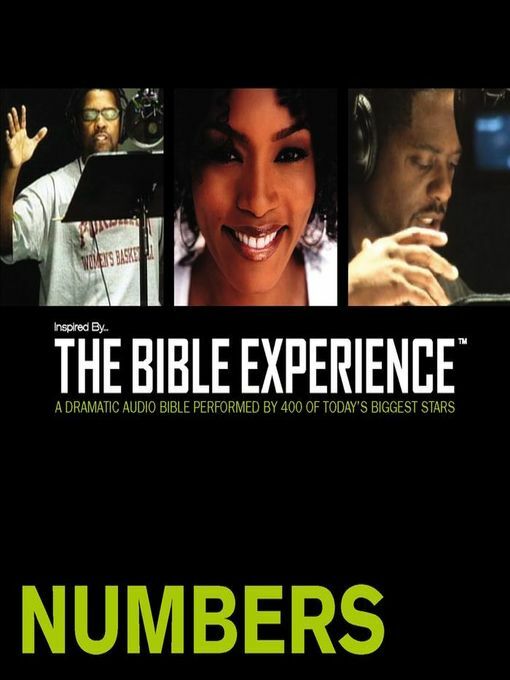 The Bible Experience has received unprecedented consumer satisfaction and national recognition including numerous five-star reviews on Amazon.com, an Audies Audiobook of the Year (the highest honor of the Audio Publisher's Association), an AudioFile Earphones Award, and a nomination for an NAACP Image Award.